Northern Illinois Health Plan includes all the traditional components you expect to see from a regional supplier providing coverage to self-insured businesses: regional and nationwide PPOs, Third-Party Administration (TPA) services, care management and more, all designed to provide an exceptional value, quality healthcare and diverse options. We serve both large and small employers throughout northern Illinois and southern Wisconsin. Members have access to healthcare services throughout the region. Our networks offer a complete range of services, from primary care to heart transplants. 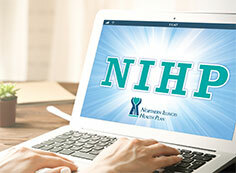 Please refer to our Provider Directories to review a complete list of network healthcare professionals for your plan. You must activate your new card before using. Visit https://secure1.nihp.com, identify your role and then log on to the system to view the status of a benefit or a claim on our secure server.